Today is National Chocolate Chip Cookie Day! What a great day! I love chocolate chip cookies. 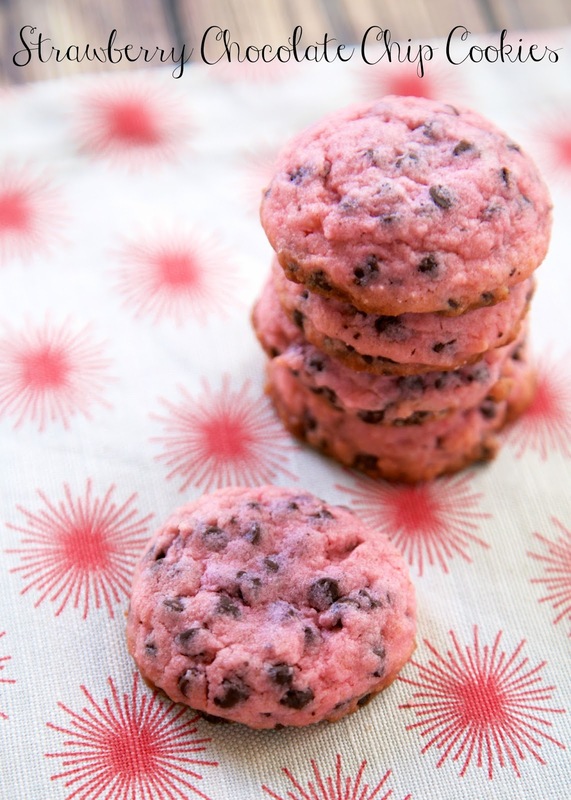 Here is a fun twist on chocolate chip cookies - Strawberry Chocolate Chip Cookies. 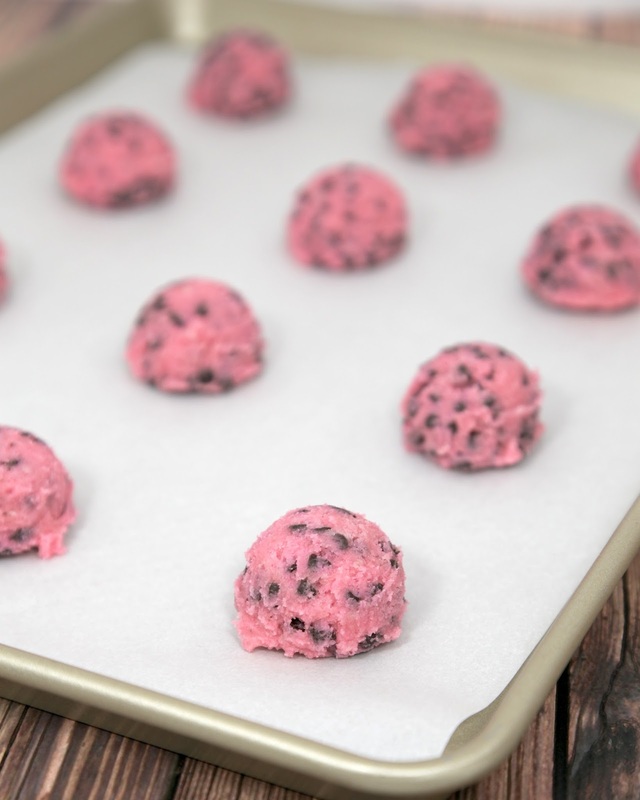 They are delicious and super easy. I started with a bag of sugar cookie mix and added strawberry extract, mini chocolate chips and a dash of pink food coloring. They only took a minute to whip up and smelled amazing while they were baking. These didn't last long at our house! In large bowl, stir cookie mix, butter, extract, food color and egg until soft dough forms. Stir in mini chocolate chips. Using medium cookie scoop, drop dough 2 inches apart on ungreased cookie sheet.